Easter is always a popular time for weddings and I was delighted to be styling hair for the lovely bride Charlotte for her wedding at 'Kingscote Barn' ... Kingscote has rightly earned it's place as one of the most beautiful wedding venues in the Cotswolds and I'm honoured to have been one of the Kingscote Barn Hair Stylist for almost 10 years now! I spent the morning with my wonderful 'work wife' Make up artist Clare Bryce who did a stunning job of creating the make up for Charlotte and bridesmaids. Throughout the morning I created several different looks for the girls, we were at Tuppence Barn which is one of the gorgeous self catering cottages available through Kingscote for bridal parties and guests to stay in. Beautiful tousled looks and a few chunky braids really did give this wedding the perfect boho feel and the bride looked absolutely amazing! 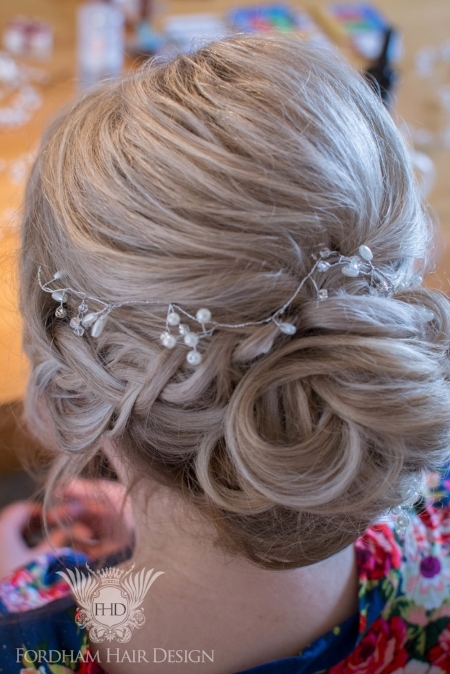 Are you looking for hair stylist and make up artists for your Kingscote Barn wedding in the Cotwolds? Get in touch now and let's chat! Argan Oil - Liquid Miracle in a bottle! !